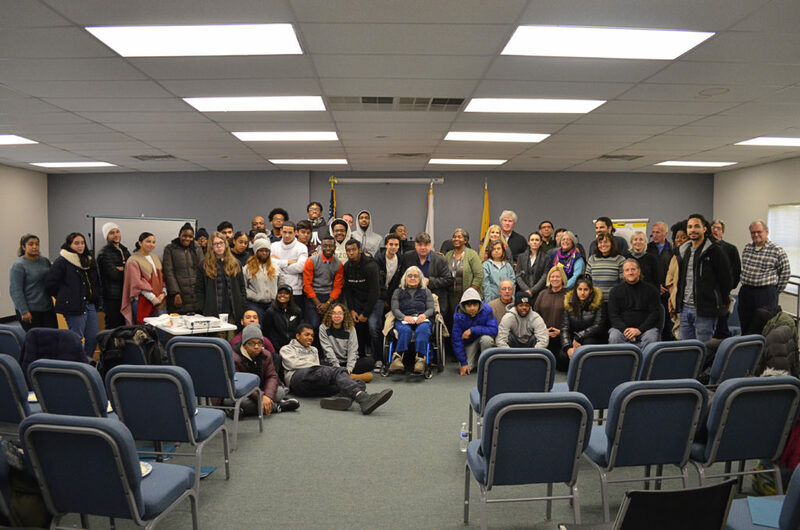 This Martin Luther King Jr. day, WHSAD students and staff traveled to Lake Como, New Jersey to begin a partnership with various stakeholders in the revitalization of the tiny town. The following are narratives from WHSAD seniors Melina Jorge, Jared Jackson, and Dariel Paulino, as well as from WHSAD’s Community Schools Director for Creative Connections, Matt Auffrey. On Monday January 21st, 2019 WHSAD went on a trip to Lake Como. It was a very cold day, but that wasn’t going to stop us from doing what we came to do, which was to get a plan on how to make Lake Como a greener place. Walking into Borough Hall we saw the mayor, Kevin Higgins. He introduced himself and expressed that he and everyone who works on the council has jobs in the morning and everything done for Lake Como is volunteer work. Fun fact: Mayor Higgins is an assistant principal by day. Chair of the Lake Como Environmental Commission, Jon Gibbons, provided insights regarding the needs of the community as the group toured the small town on the frigid day. Next, we went on a short tour to see the lakefront and understand that the priority was the lakefront. When the tour concluded, we went back into Borough Hall to talk about goals and aspirations. We listened to presentations and were introduced to the many volunteers and important people who make Lake Como what it is today and what it will be in the future. The students proposed new ideas on how to make Lake Como greener and expressed how we feel about the plans already put into place. The people listened to our ideas and made sure that we felt like everything we said mattered. By the end of the trip we all came to an agreement on how we would help the people of Lake Como and make their town better. We all know what the priority is and what our goal in the next year is, and we can’t wait to go back soon, on a warmer day of course. Senior Jared Jackson provides his input regarding aspects of the project. The day at Lake Como was definitely a cold one. Seeing that it was about 9 degrees, everyone was bundled up. Nevertheless, we were interested in helping the people of New Jersey. After arriving at Lake Como Borough Hall, we began with introductions, meeting the Mayor Dr. Kevin Higgins, Chair of the Lake Como Environmental Commission, Jon Gibbons, and many other important people. It was at this point that we learned how much this small town needed us. The town is less than a quarter of a square mile with a population of only about 1700 people. That being said, the town lacks a good tourist spot and is lacking a little bit in the sustainability aspect of things. The town, however, no longer needs to brave these problems alone because they’ve partnered with Monmouth University, H.E.A.L.T.H. for Youths, and us at WHSAD. We toured 5 key destinations in the town that were crucial for this five-year plan to come to fruition. We were able to gain insight on the task at hand and give input on the situation. Overall this trip was “empowering”. Students, along with the help of environmentalists, architects, chairmen/ chairwomen, H.E.A.L.T.H. for Youths, and those at Monmouth University, will be able to make a difference in the lives of the people of Lake Como. Although we seniors will not be able to work directly on this project in the upcoming years, we will still have a part in this project. The ideas of the town are knowledgeable and together we came make a difference. In a small town an hour and half away from our school they were seeking change. The town of Lake Como was very thrilled to see new faces in their town because with a population of about 1,700 people, the population of Lake Como is smaller than that of the Harry Van Arsdale Campus. With such a small population, residents are seeking outside help for their “5 more environmental destinations in 5 years.” Lake Como has partnered with the nearby town Spring Lake, Monmouth University, H.E.A.L.T.H for Youth, and now WHSAD. The Environmental Commission gave us a tour of the town to understand the town and its people. They are facing the problems of a small town with a lot of potential. They are situated next to a lake, and they want to do something that is environmentally friendly while still getting people to come to the town. They are also stuck in the middle of two party zone and people just cross town to get from one party zone to another. They want people to stop and explore the town without just driving right past it. They want to do these two things while also planting native plants to attract the native bees of New Jersey and help the people with their crops. The town also wants to create gardens around town and while doing this it will create an acre of gardening to also help attract more bees. The last thing the town wants to get done is the attraction towards Main St. which leads towards the lake. 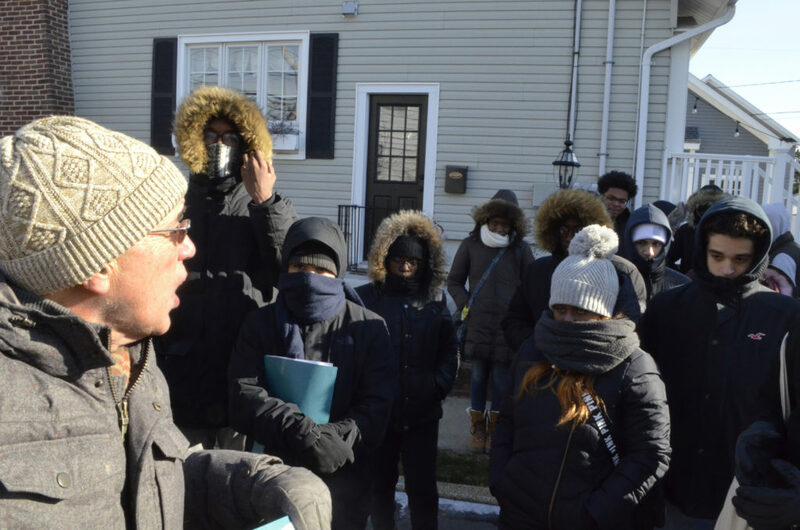 After arriving in Lake Como, New Jersey just after 9:30 am, our MLK Day event started with a welcome address by the town Mayor, Kevin Higgins, followed by an abbreviated walking tour of the town. Our guide was Jon Gibbons, Chair of the Lake Como Environmental Commission. Our tour featured multiple stops at future project sites that WHSAD students will play a role in redeveloping. The highlight of the tour was viewing the town’s lake, a site that fascinated WHSAD students due to the lake’s massive size and glaring natural beauty. The group braved the cold and harsh winds to make it back to Borough Hall where we were greeted with hot tea and coffee. WHSAD senior Trevon West kicked off the planning meeting with portions of Martin Luther King Jr.’s speech, “What is Your Life’s Blueprint?”. In the town meeting room, we were joined by many other attendees, including local residents, town officials, and faculty from local universities. 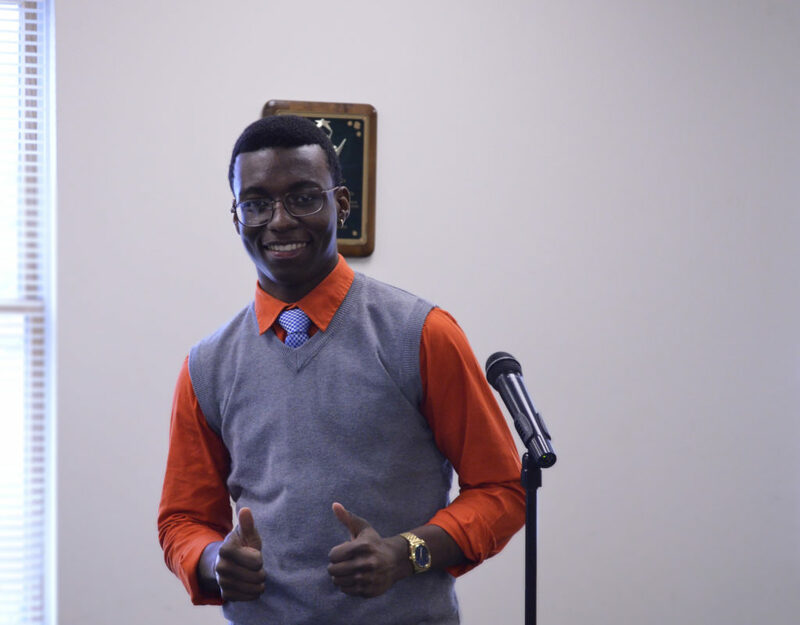 All attendees introduced themselves to the group and then WHSAD Senior, Trevon West, shared excerpts from the Martin Luther King Jr. speech, “What is Your Life’s Blueprint?”. We then received a presentation featuring an overview of the five-year redevelopment project led by Jon Gibbons and Heather Butts of H.E.A.L.T.H. for Youths. We broke for lunch, which was provided by Borough Hall, and then reconvened half an hour later to start a group discussion of next steps. 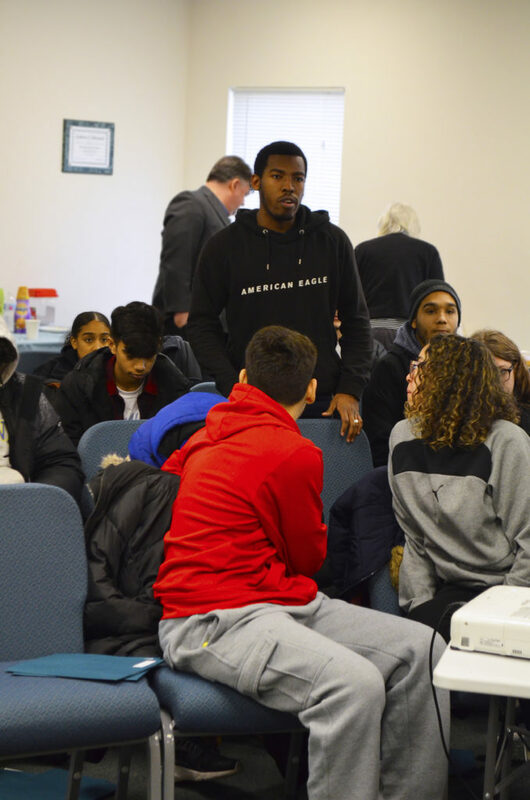 The WHSAD students actively participated in this discussion to obtain more information about their role in the project and offer ideas on how the town can best utilize their resources. The WHSAD group hit the road for Brooklyn at 1:45 pm having made a very positive impression on the Lake Como contingent and eager to partake in this new adventure.